Exactly a decade ago I happened to visit Croatia for the first time. Blessed with magnificent nature, picturesque landscapes and breathtaking sea panoramas, this country truly amazed me and left a definite positive aftertaste. No, not aftertaste, rather a “Eurotaste” – I left with the impression of having been in a truly European country, with European traditions and culture, with European inhabitants with their European frame of mind. So 10 years ago, exactly when Croatia officially submitted its application for EU membership, I was already wondering why this country was not part of it yet. My logic back then (being a child with naivety as an inherent attribute) was quite simple – you see a lovely country. This country is geographically located in Europe. It shares common history and heritage with other countries of this continent. The infrastructure (one of the first things you notice while travelling around the country) is relatively modern and tourism shows itself from the best side. Respectively, you ask yourself: why is it not in the EU? Why I asked about the EU? Well, I just heard adults talk about it being a good place to live in and something about “democracy”, ”living standards” and “human rights”. Whatever that means I understood that it is something positive. Fullstop. So why is this nice country not in this nice union, the naïve child asked. Not an easy question even now. Who would have known at that time about the sometimes unjust and “cruel” application of the Copenhagen criteria (let us just recollect our memories how separate requirements have been neglected when welcoming the Baltic countries – a purely geopolitical step by the EU and US to re-conquer that part of Europe after the fall of the iron curtain – and Croatia having to meet so many new requirements)? Who would have thought at that time about the outcomes of future waves of enlargement and the coming enlargement fatigue which would be one of the obstacles on the way to the EU? Who would have thought at that time about the future economic crisis which would hit the whole Union and give rise to a new wave of euroscepticism even among the biggest proponents of the European project? Nevertheless, all that, and much more, has been overcome by this small but brave representative of the Balkans: a region known to be the epitome of war for many decades, even centuries. From the Crimean war – being torn between major players on the European political scene, each with specific appetites for the Balkans; over to the First World War – having in fact started in that very part of Europe; up to the Yugoslavia period giving birth to the non-alignment movement – all this is just one of many exemplifications of the geopolitical significance of the Balkans and their historical ties with Europe. In this respect, Croatia’s accession (although not being the first representative of this region to join the EU) is definitely another step towards the reunification of our continent and indeed a manifestation of historical fairness. Whether it is the Balkans, Western or Eastern Europe – we are all Europeans sharing common values and belonging to the same civilizational dimension. You want it or not – we are in the same boat and are as interdependent as we have never been before. Thus, the child says now: at some point we will ALL be united under the joint umbrella called the European Union. We just need patience, hard work and time. But today we send our warmest congratulations to Croatia – another country which made it to the EU! PreviousCroatia & the EU 2013 – who is the new Croatian Commissioner? San Marino: Thanks but no thanks, EU accession! 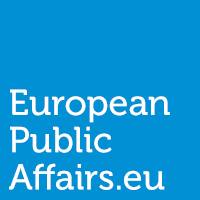 #EP2014: What happens with incomplete legislative files? Job well done, Lesia! A very positive take on Croatia and the future of the EU. Although I think that complaining about the fact that Croats had to comply with more requirements than its Baltic counterparts is a non-argument. Surely, we should expect the Baltic states to up the ante rather than call for Croatia to do less (especially since we’re all aware of the scandalous treatment of certain minorities in these countries – Russians, LGBT people etc.). Frank, thanks for your comment. I do believe that the criteria should be equal to all. Therefore they have been formulated and laid down as the Copenhagen criteria. Everything beyond that – is a matter of unfair treatment from my point of view. The European Union is a living organism. It is bound to take onboard internal and external developments and by therefore, even if we accept that some values are universal, different emphasis will be placed on different aspects of the Copenhagen criteria in accession negotiations for individual countries. Besides, to expect the EU to attach the same importance to human rights as it did in 2004 after the scandal in Hungary is a bit of a misunderstanding of how the EU works. The EU has learnt its lesson (and so it should). It, by the very nature of it being a living organism, cannot approach all accession countries in the same way. If, IF Ukraine and the EU are ever serious about the former joining the latter you’ll see for yourself that certain aspects of fundamental rights will be ignored and some emphasised. And if some additional requirements are introduced one has to see them in light of a wider picture, not from a nationalistic point of view. The EU is, and always has been, unfair to new members. But not out of spite but because it has evolved into something it never was before and it applies rules it never did before purely because those rules did not exist in the past. Croatia fully deserved the EU membership by sweat of its brow because of its dedication and commitment to EU values. I wish Ukraine could follow in its footsteps but still it has to step up significant efforts to forgo its Soviet vestiges and adopt European policies. Unlike Ukraine Croatia has never been so tainted by Soviet habits as Ukraine and most of other ex-Soviet republics.